Missing teeth that are not replaced can impact the health of your remaining teeth and increase your dental treatment costs. Implants restore your tooth function following tooth loss or tooth damage. Tooth loss creates gaps between your teeth that can cause your teeth to shift. A missing tooth or teeth can also lead to bone loss in your jaw and gum tissue damage. Dental implants provide you a natural looking tooth replacement that restores your tooth function and enhances your overall oral health. The treatment is also more permanent than common dental restorations such as dentures, partials, or dental bridges. Your dental implant is crafted from bio-compatible titanium. 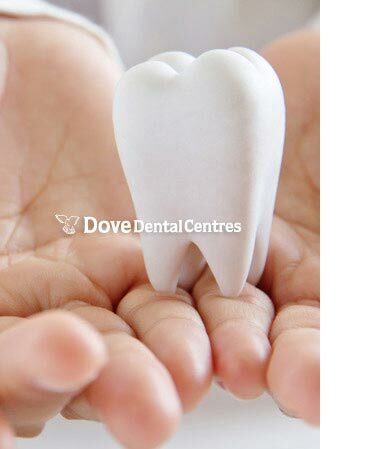 The implant is surgically placed within your available jawbone to form a solid, new tooth root. The implant provides a solid anchor-point for your new tooth replacement. Your dental implant allows you to chew and speak as you would prior to your tooth loss. Dental implant treatment is a surgical procedure. The first phase involves an examination to determine the availability and strength of your bone tissue. If you're lacking adequate bone tissue to place the implant a bone graft will be recommended. This helps assure that your dental implant has a solid foundation to support your new tooth. Your procedure includes a local anesthesia. Sedation options are also available to provide you a comfortable, anxiety-free procedure. Following the initial placement of your implant your gum and bone tissue is allowed to heal. This period lasts approximately six months to assure that your dental implant adapts to your bone (osseointegration). The second phase of your procedure places a post on top of your implant. This post and newly anchored implant form a solid new tooth root. After a period of healing, a dental crown will be placed on top of the implant and post. This completes the procedure and forms a fully functioning new tooth. Dental implants can replace a single tooth or multiple teeth. An implant can also be used to anchor a dental bridge or dentures. Implant costs vary. Your out-of-pocket expense depends on the number of implants and the extent of your overall treatment plan. Unlike dentures and dental bridges, implants last for over 10 years. Dental implants are a more comfortable, functional, and natural looking tooth replacement option. Care for your implant as you would your natural teeth. Brush, floss, and schedule your routine dental examinations and teeth cleanings to maintain the health of your dental implant.